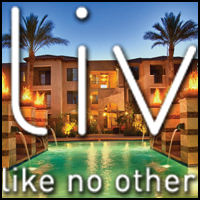 Liv like no other today and enjoy 24/7 gaming, entertainment, coffee bars, fitness centers and pools. Reserve your new home today and get up to six weeks free and reduced rates on select apartment homes! Apply today before rates go up. P.B. Bell is an award winning multifamily development and management company headquartered in Scottsdale, Arizona, with nearly 30 locations valley wide. We will waive the application and admin fee for one person, per lease. Offers vary per location and are subject to change. Please call community leasing teams for details. Must ask for The Employee Network Discount and provide company ID badge or membership card. Other restrictions may apply. O.A.C.